One handle - two uses... 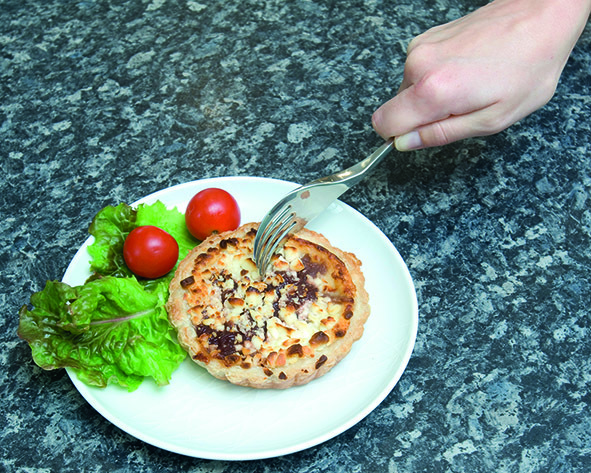 The Knork is a combination of a knife and a fork designed for one handed eating. Price excluding VAT.(Incl. VAT £14.83) *VAT Relief available on this product. Do you struggle to eat when using a knife and fork? 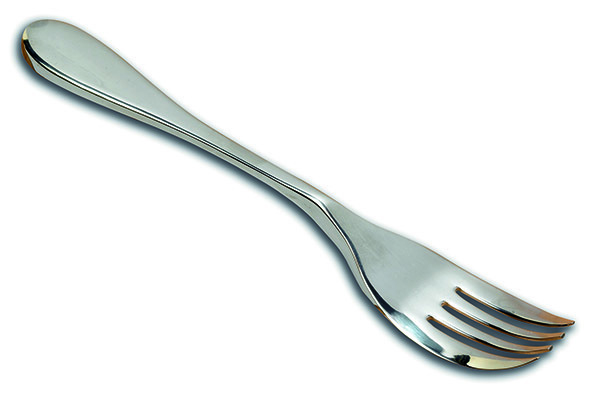 Well, to make the process easier for you, let’s introduce the Knork Fork. This clever product has been designed to incorporate the traditional knife and fork in one – perfect for one-handed eating. It doesn’t matter if you’re left or right handed because the Knork Fork can be used for both. The outer prongs are a little bit wider than the middle ones. They have a specially shaped edge that will cut food without the risk of a mouth injury. A finger platform on each side provides a comfortable place to rest your finger while allowing enough pressure to cut food with a gentle rocking motion.